Misys was a major player in enterprise systems for the financial sector. They merged with D+H, several years ago, creating the world's third largest fintech: relaunched as, Finastra. We continue to work with Finastra. across their live engagement programme. This case study explores the roots of that relationship. Change is no stranger to the financial sector. This time, financial services is confronting the disruptive forces of the digital era. 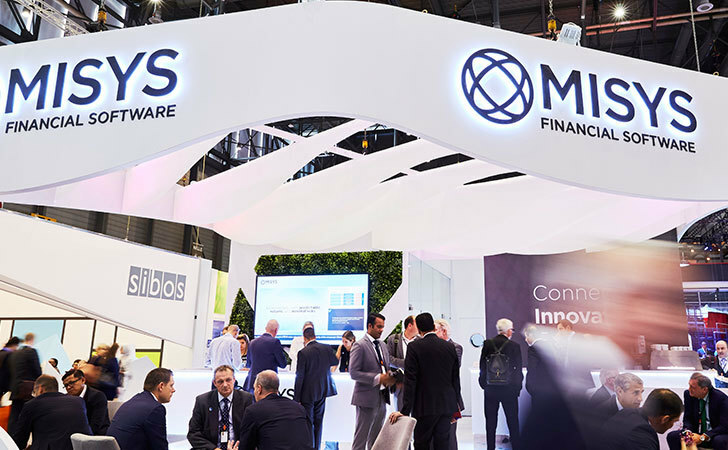 And Misys has been at the heart of these changes, providing expertise in exhibition booth design and management. Shelton Fleming has been delivering, end-to end brand experiences that position Misys, as the trusted thought-leader and enabler digital transformation. The premium styling-cues that we integrate into the booth design, gives Misys style-conscious consulting environments for high-powered meetings. Our bespoke meeting tool creates a seamless customer journey.